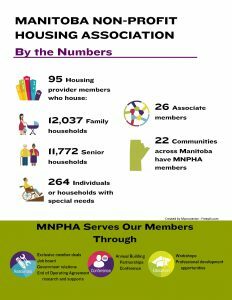 MNPHA’s 2017/18 Annual Report now includes our reviewed financial statements for the fiscal year. The report includes a summary of your association’s activities and achievements throughout the year. We also have a “buy the numbers”, showing MNPHA’s representation across Manitoba. The reviewed financial statements will be approved at a special meeting during our conference, October 16, 2018, at 8:15am.